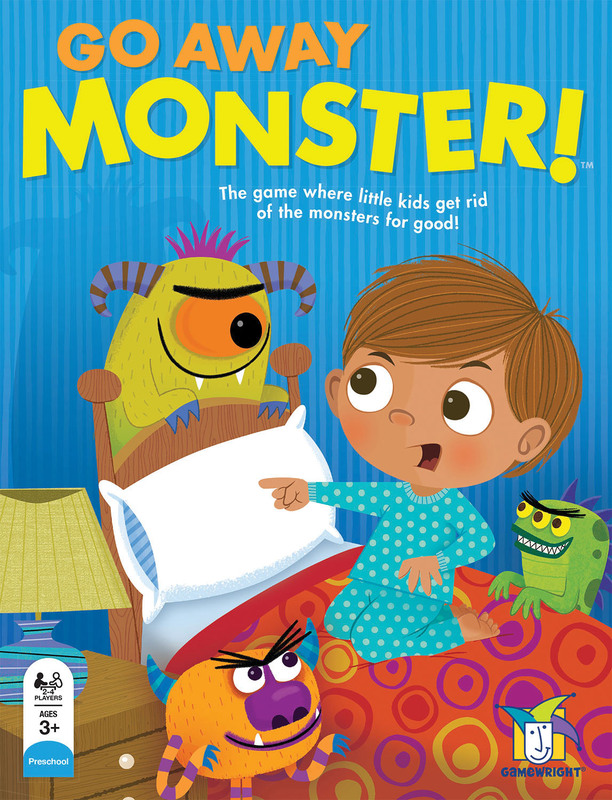 The Game Where Little Kids Get Rid of the Monsters for Good! Too many monsters? 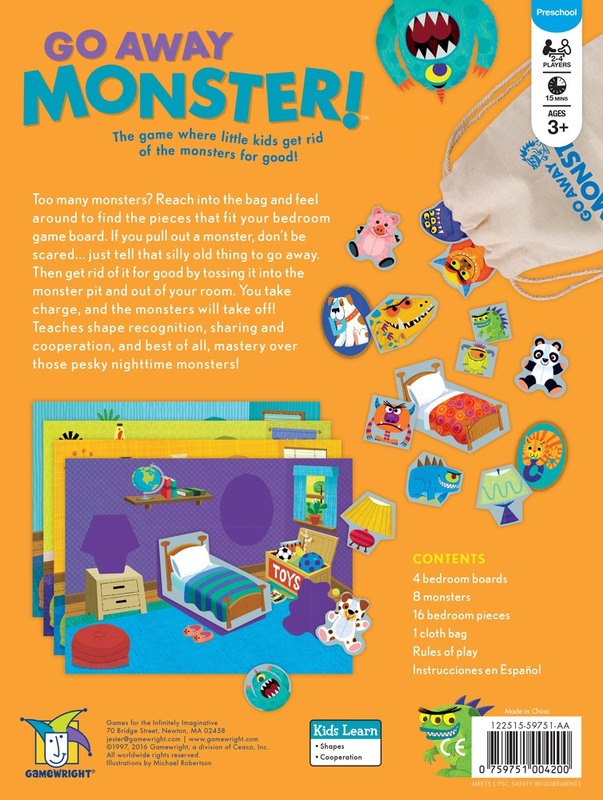 Reach into the bag and feel around to find the pieces that fit your bedroom game board. If you pull out a monster, don’t be scared… just tell that silly old thing to go away. 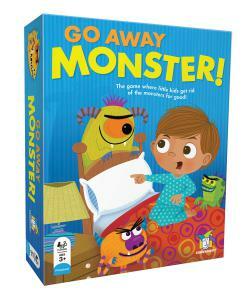 Then get rid of it for good by tossing it into the monster pit and out of your room. 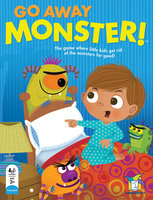 You take charge, and the monsters take off! 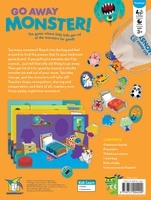 Teaches shape recognition, sharing and cooperation, and best of all, a master over those pesky nighttime monsters!